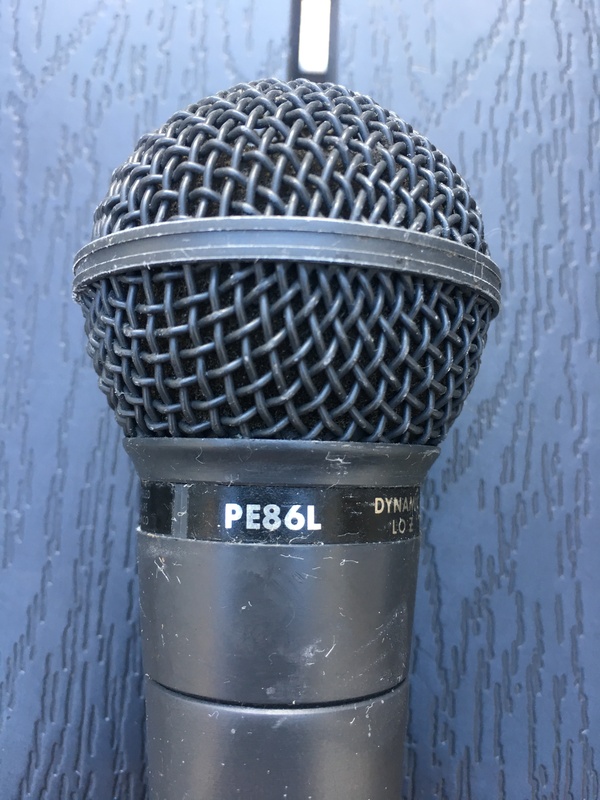 PE86L, Dynamic Microphone from Shure. 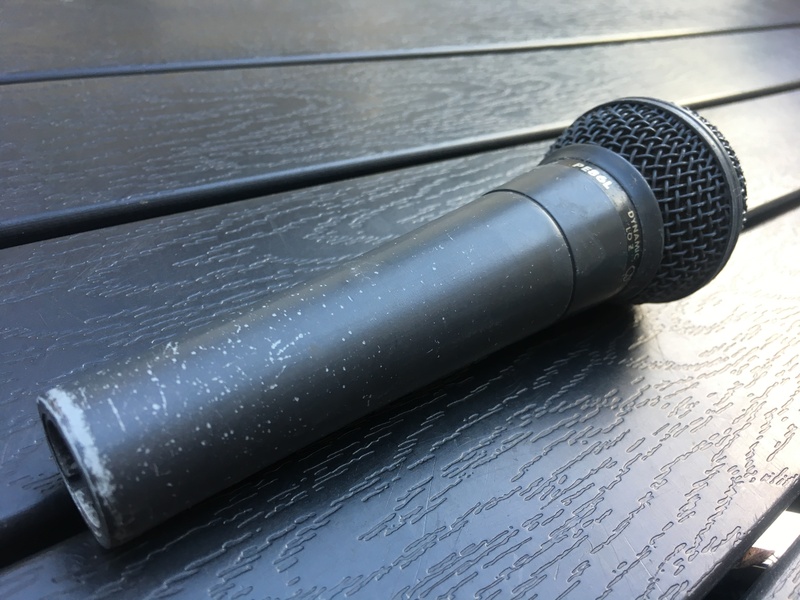 I use this microphone (purchased in 1985!) For the song and I am very satisfied. 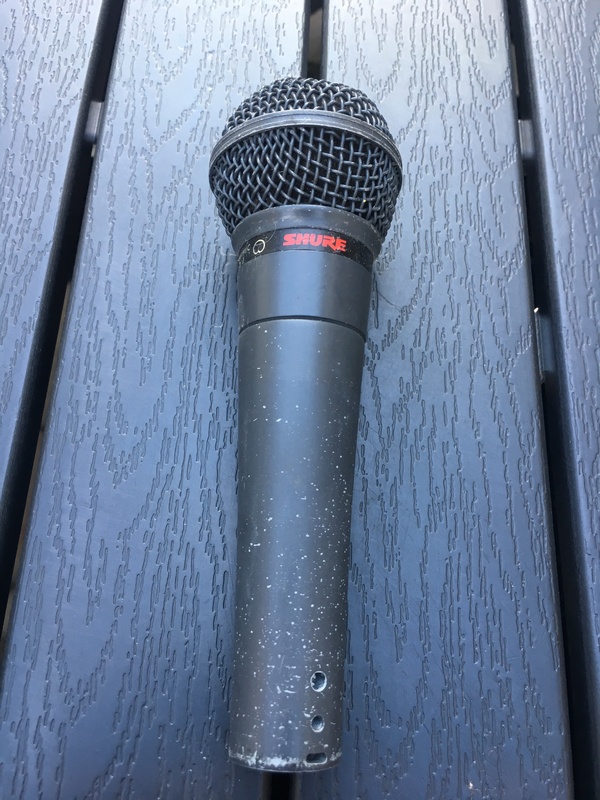 He rode a lot and took some shots but it still works perfectly after 20 years of loyal service. I still use it today to my clips that I post on youtube.